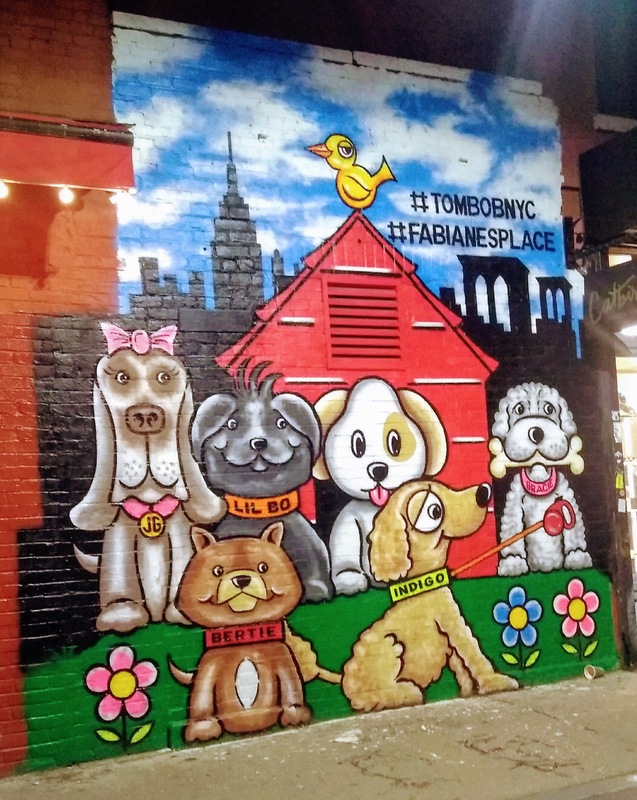 Today I said goodbye to my first apartment in East Harlem, so I thought it would be fitting to feature this mural I saw in the neighborhood recently. 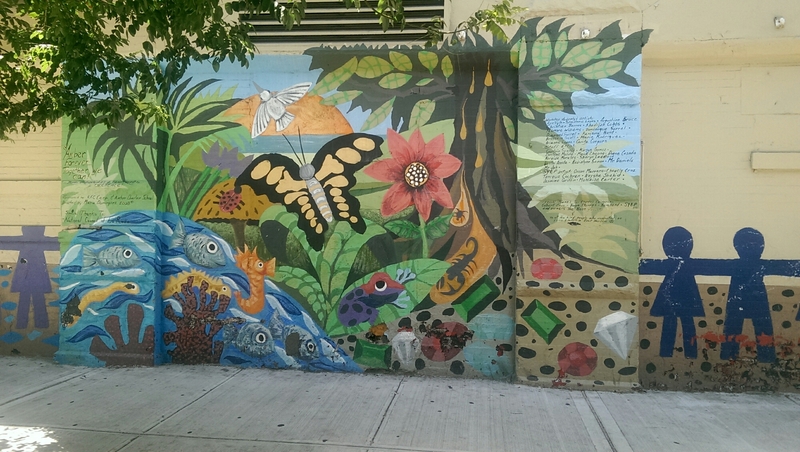 It’s such a tropical and vibrant mural with a butterfly, birds, and bright colors. 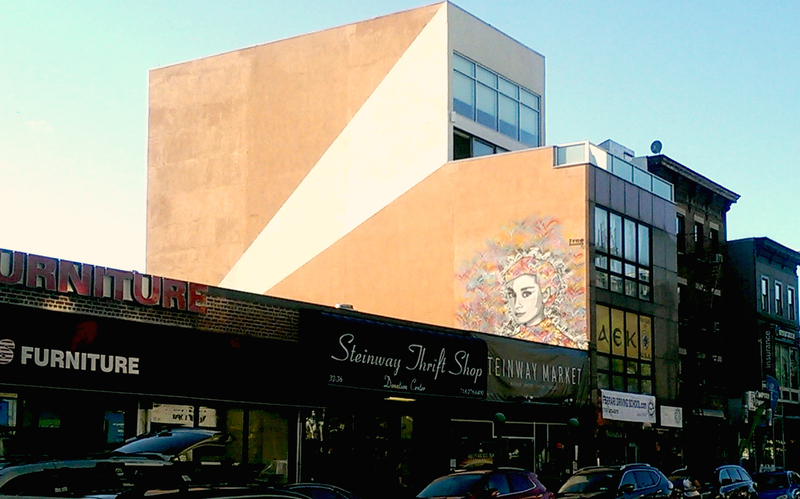 Sponsored by KFC and Amber Charter School, the mural fits in so well with the community of East Harlem. National Council de la Raza. I’ve had this pic sitting in my phone for a few month’s now. 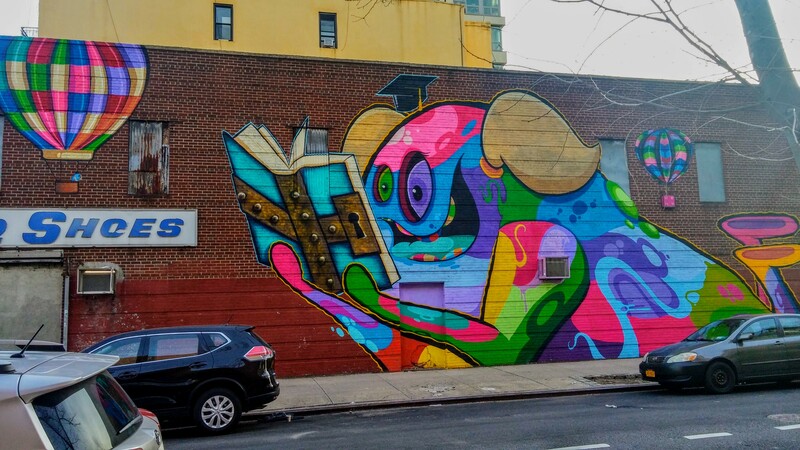 I felt it was time to unleash the dragon in this graffiti by URBANIMAL. 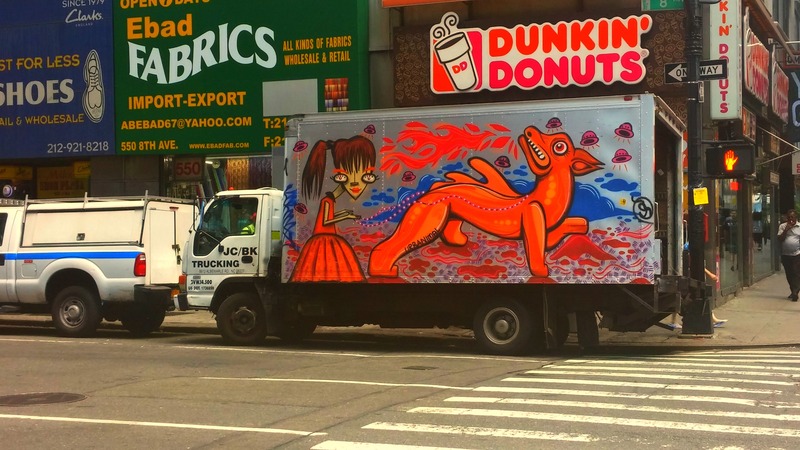 I saw this piece on a truck on the corner of West 37th and 8th Ave, and I immediately knew it was by URBANIMAL because of the way the eyes on the characters are depicted and the fact that his art is all over trucks in Midtown West. I love the vibrant color. For some reason, the woman in the piece looks a little bit like Gayle from Bob’s Burgers. Is it just me? Also, is she holding that dragon by pink bejeweled reins?! See more of URBANIMAL’s work on Instagram. Fall is literally two days away, so the lovely birds that came to visit NYC for the summer will be headed south soon. 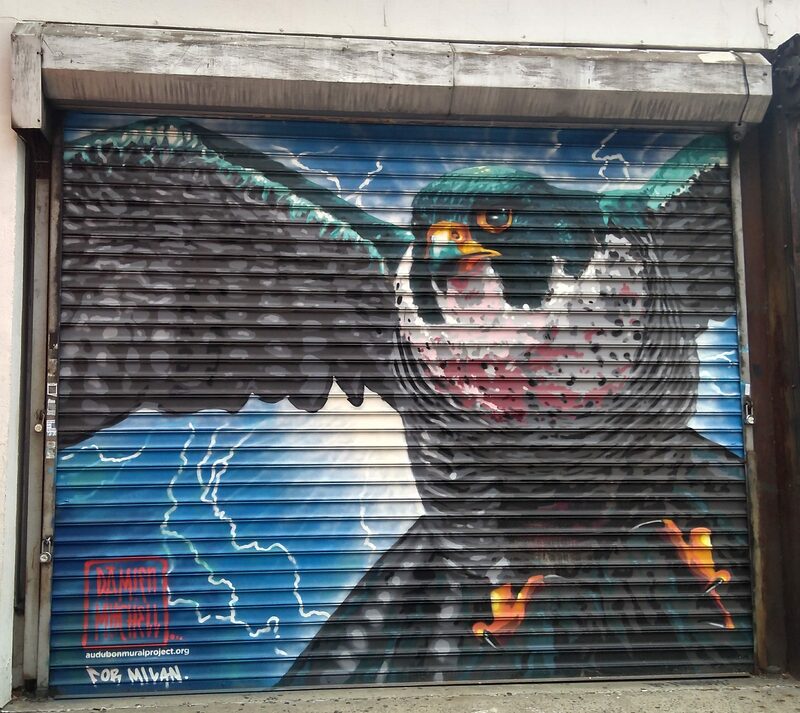 I saw this amazing street art by Denton Burrows on a shipping container near the intersection of Ludow and East Houston Street in the East Village earlier this month. 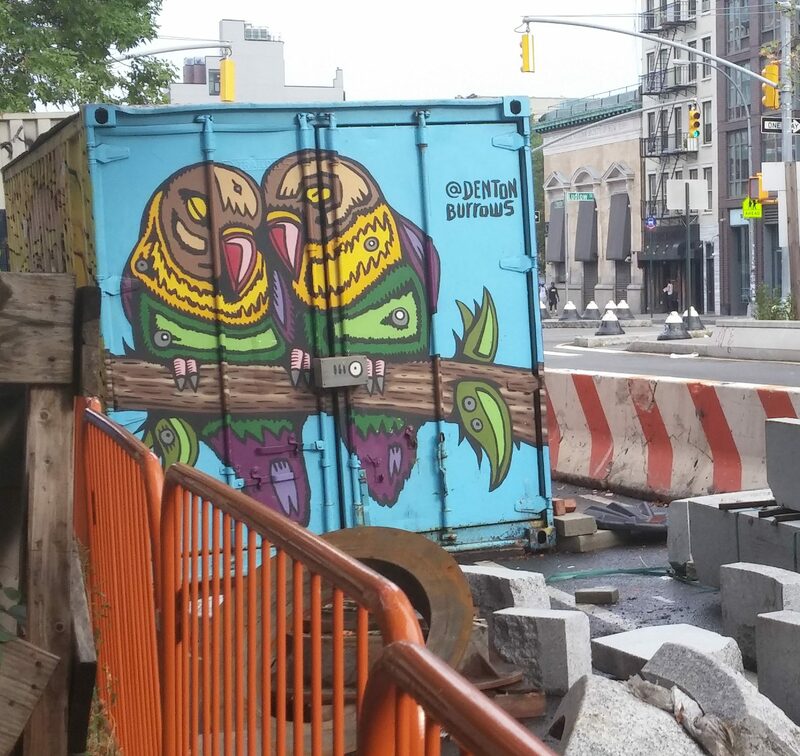 The two birds painted on the container look like the cutest couple snuggling up together on that branch! Also, is it just me, or does that green leaf in the bottom right corner look like some sort of smiley face leaf emoji? See art by Denton Burrows at www.dentonburrows.com.